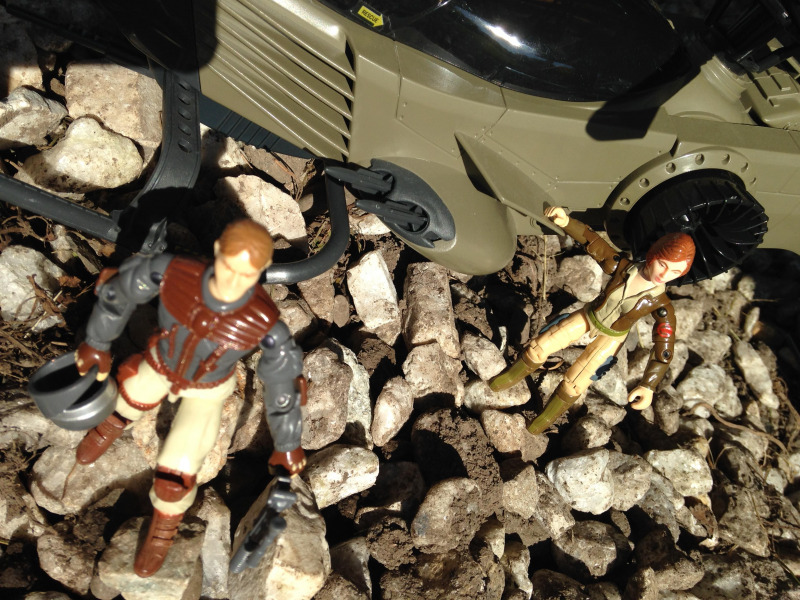 Description: Covergirl & Updraft explore a potential UFO crash site on Breaker's request. Sweet shot! I'm a big fan of Updraft too, he was a really solid figure, especially for a vehicle driver. that helicopter is so great. excellent shot! Cool shot, the consistency Hasbro had with the tan colour over the years is incredible! A '90 release and an '83 release match perfectly! Updraft is a figure that should get more love. Solid pilot and colors. He's great in the Tomahawk.